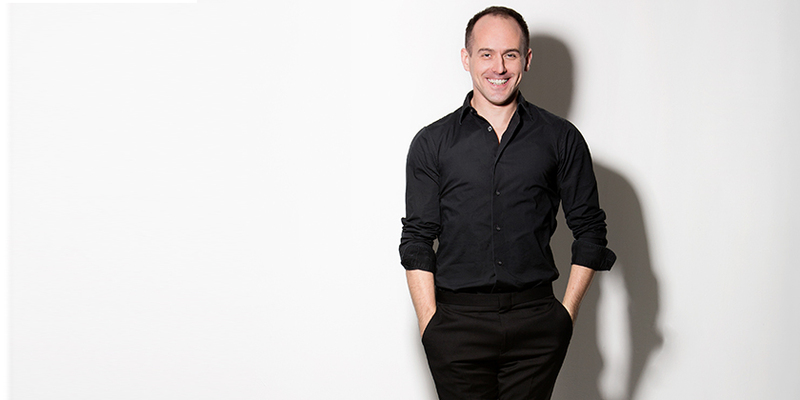 Brian Brooks is the inaugural Choreographer in Residence at Chicago's Harris Theater for Music and Dance, a three-year fellowship that includes commissions for new works for Hubbard Street Dance Chicago, Miami City Ballet, and his own New York-based group. In addition to the Mellon Foundation Creative Artist Fellowship, awards include a Guggenheim Fellowship, Joyce Theater Artist Residency, and NY City Center Fellowship. Brooks’ company has toured internationally since 2002 with presentations by American Dance Festival, BAM’s Next Wave Festival, The Joyce Theater, Jacob’s Pillow, and Lumberyard Performing Arts, among others. After being commissioned by Damian Woetzel/Vail International Dance Festival to create First Fallwith former NYC Ballet Principal Wendy Whelan, Brooks and Whelan have collaborated since 2012, recently touring a duet evening accompanied by the string quartet Brooklyn Rider. Brooks has choreographed off-Broadway productions at Theatre for a New Audience, including A Midsummer Night’s Dream (2013), directed by Julie Taymor, and Pericles (2016), directed by Trevor Nunn, and has created dances for Ballet Tech, The Juilliard School, Boston Conservatory, The School at Jacob’s Pillow, and Harvard University. He teaches extensively at colleges and universities across the U.S. and served as a Teaching Artist at Lincoln Center Education for 12 years. During his upcoming year of creative research in conjunction with the Meany Center and the University of Washington, choreographer Brian Brooks will explore the imagined space between performer and observer. Working collaboratively with Seattle-based physicists and programmers of virtual reality, Brooks will investigate dance beyond the body and art-making in the digital frontier.